“Though it has long been heralded as a hip destination, Vietnam’s southern supercity somehow keeps getting cooler” is how Lonely Planet describes Ho Chi Minh City which it has named the third best place to visit in Asia this year. With more than 3.83 million foreign arrivals in the first half of this year, the city continues to soar up the popularity charts, seducing globetrotters with its local music scene, craft beers, street food, and nightlife. “Aging apartment blocks are being colonised by vintage clothes stores and independent coffee shops, innovative breweries like Heart of Darkness and East West Brewing are fuelling one of the best craft beer scenes in Southeast Asia, and a selection of eclectic venues are strengthening the local music scene,” the Lonely Planet guide said. 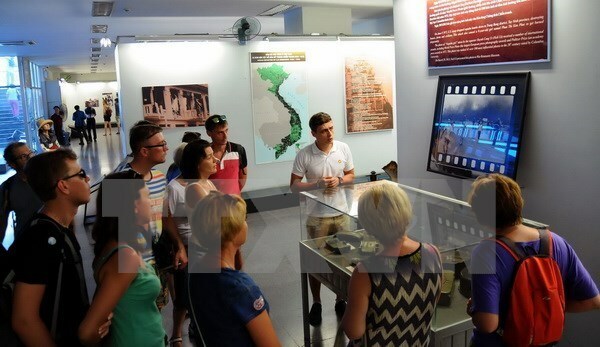 The site named the War Remnants Museum one of the essential long-standing attractions which details HCMC’s recent history in eye-opening displays. It also praises the local pioneering street food scene and accommodation which is suited to different demands. “It appears this buzzing Asian megalopolis is in no danger of going out of style,” the site said. International visitors to HCM City on average spent 145 USD a day and stayed for 5.21 days last year, according to a survey carried out by the city’s Department of Tourism and Statistics Bureau. Meanwhile, domestic travellers spent a daily average of 1.58 million VND (69 USD) and stayed for 3.6 days. Last year, one of the UK’s most respected travel sites, Rough Guides, released a list of eight best nighttime experiences in Southeast Asia, with Ho Chi Minh City coming second on the list, offering a celebrated nightlife experience./.